Covering a versatile array of wide-angle focal lengths, the AF-S NIKKOR 16-35mm f/4G ED VR from Nikon is a flexible zoom ideal for landscape, cityscape, and interior photography. Its constant f/4 maximum aperture maintains consistent illumination throughout the zoom range and suits working in a variety of lighting conditions. The optical design contains three aspherical elements and two extra-low dispersion elements, which greatly reduce distortion and aberrations for a high degree of sharpness, clarity, and accurate rendering. A Nano Crystal Coat has also been applied to control flare and ghosting for greater contrast and color accuracy in harsh lighting and backlit conditions. Additionally, this lens also sports a Silent Wave Motor for fast and accurate autofocus along with VR II image stabilization to minimize the appearance of camera shake by 2.5 stops. AF-S NIKKOR 16-35mm f/4G ED VR Lens is rated 4.7 out of 5 by 493. Rated 5 out of 5 by wolfy from great lens looked for a year to fit a extra wide for my D750. Considered sigma 20 f1.4 but wanted wider view. considered nikon 17-35 2.8 but no real need for wide-open 2.8 so bought the 16-35. at f8 to 11 it shines. great for photographing up close such as museums and nature vistas or just a tree scape up close. This lens with the D750 is a great easy combo for wide views yet you still have 35mm for tighter shots. BH gives a free kit 77 clear filter - if spending a grand on a lends - spend a little extra and get high end filter glass such as the Formatt 77 UV ultraslim filter - it does not darken corners when wide open. Love it! Rated 5 out of 5 by Ken from Nice Lens I bought this lens for landscapes. I have used this lens for a few months now and have found that if you do your work this lens does its work. This lens is replacing four prime lenses (20, 24, 28, 35). The only problem with this lens is that I wish the distance scale were more precise. In my landscapes I usually push the limits for depth of field. That requires carefully setting of the distance on the lens (usually hyperfocal distance). With distance scales on the newer zoom lens that sometime is not an easy task. The color on this lens snaps and when viewed at 100% is sharp at both zoom ends. All in all this is a excellent lens! Rated 5 out of 5 by Andrew PNW from Great Lens for DX I use this lens on a D7000 for landscapes and videos. I wanted something that would cover 16-24mm on DX, which is the range that I found useful when I did landscapes on film many years ago (24-35mm). It works well for this. It is sharpest at 16-26mm. It gets a little soft at 35mm. On DX, distortion is very acceptable at 16mm, and throughout the range. It works surprisingly well for video. The VR prevents camera shake when used appropriately, and 16-35mm is a great range for family and landscape videos. The f/4 has not been a restriction for landscapes and videos on D7000. Also, it is much lighter than my 24-70mm f/2.8. I'm very satisfied. Rated 5 out of 5 by Anonymous from Great Alternative to the Nikon 17-35 2.8 I wanted a quality wide angle zoom for landscape shots. I looked at the 14-24 2.8, but finally ruled it out because I couldn't easily put a filter on it. I also looked at the 17-35 2.8, but I couldn't justify the extra expense for one F stop, especially when I would normally stop down for a landscape anyway. I like the VR on this lens. It is tack sharp and with the VR it works great for flashless indoor shots. It is lighter than I expected, but the build quality seems good. There is significant distortion at the wider angles, but I have been able to correct that quite easily in Photoshop CS5. I am quite happy with my purchase of this lens. Rated 5 out of 5 by Anonymous from Great Lens , bought for landscapes I own the 24-70 2.8 and the 70-200 2.8, I wanted a wide angle but really didn't want to pay the price for the 14-24 2.8...considering this is for landscape I don't feel I need a 2.8 and this is a fixed 4. Nikon was offering almost $ off so it was a no brainer..It has the same filter size (77mm) as the other 2 I mentioned so I don't need to carry multiples of filters. As all Nikon lenses the picture quality is great and sharp. I was looking to buy a used one but they were selling for basically the same price as I got this one with the Nikon sale..pretty light weight . I'm planing a trip to Ireland and was the main reason I added this lens to my collection.. Rated 5 out of 5 by Mojaveguy from Great, sharp, wide zoom lens! I can understand why this lens is often backordered. I prefer this lens to the 17-35. It is sharper and the VR is very helpful for indoor ambient light handheld shots. The VR more than makes up for the f/4 vs f/2.8. The focus and zoom rings are nicely placed and sized. The range is much more useful than the 14-24 for most applications. This and the 28-300 make a good pair for hiking or traveling (relatively) light and both use 77mm filters. Considering the performance and price I think it is an excellent value. 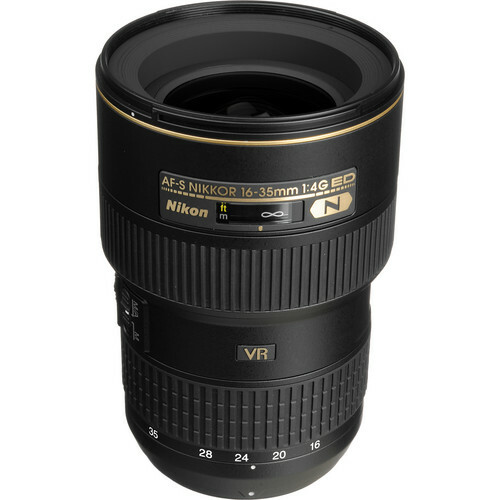 This lens would be my first recommendation to most people for a wide zoom Nikkor for FX. Very happy with it. Rated 4 out of 5 by Anonymous from Excellent lens, real sharp I use it for landscape, street photography and people/events. It provides excellent sharpness on a D700, side to side. No flare, even when shooting into the sun. Has a nice bokeh too. It's much more practical than the 14-24/2.8. VR works nice, but doesn't make a huge difference. I hope Nikon continues to produce more pro/semi-pro grade f4 lenses. 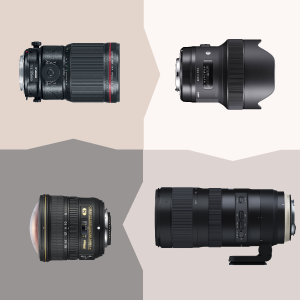 The cons are that the lens is big, protruding a lot more than the 20-35 or 17-35, and that it's not built as tough as the other two mentioned. 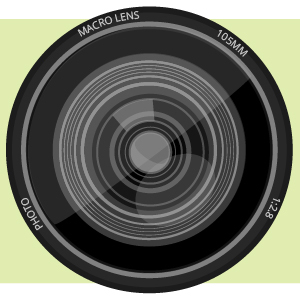 The front element moves in and out within the barrel while zooming, which may cause dust to enter into the lens - the use of a filter is definitely recommended. Rated 5 out of 5 by Michael A. De Martino from I Made the right choice! Purchased my 16-35 simply because I wanted to use filters for waterfalls beach scenes etc. Although the 14-24 was very sharp,I also wanted more reach with the 16-35 on my D700. I also purchased the Sing-Ray LB color Combo to enhance my images and that you could not do with the 14-24 i did notice some vignetting but set the lens to 22 to 24 with no vignetting even with the LB color Combo on. Read the reviews and then decide for yourself like I did and don't let anyone sway you. You yourself know what you want to do with this lens. I am very happy with this lens. Go out and get yourself A 16-35 right now! can you sent to indonesia? and how much does it cost? Yes, this lens can be shipped to Indonesia. You may calculate your actual shipping options/order totals by adding the items you want to a shopping cart. It will then list the shipping options, descriptions, ETA's and fees to your location. While I appreciate the efforts made by other readers, my question was NOT answered B&amp;H? In general, wide angle lenses won't display camera shake as easily as normal/telephoto lenses will. The blur is evident however, so the feature is still helpful. Combining hand holding shake with mirror bounce on high resolution Nikons is a prescription for problems. Will it work with the D7100? There's definitely distortion at 16mm but if you're shooting RAW, a quick click of the Lens Correction (both Profile and Manual tabs) in ACR will correct it. The Nikon 16-35mm f/4 VR will have barrel distortion at 16mm. but this is fairly easy to fix in photoshop, and isnt an issue at other focal lengths. It is an excellent lens, and would be a great option for shooting interiors. Is this lens compatible with a Nikon D500? Yes, it is compatible with the D500. No, not in my experience anyway. The lens is on the heavy side, but I haven't had any trouble using it as is on a medium-grade tripod. Just make sure the weight of your camera body and this lens are within the tripod's design specs.